Can You Delay Or Avoid Replacing Your Asphalt Shingle Roof? Home » Blog » Roof Maintenance » Can You Delay Or Avoid Replacing Your Asphalt Shingle Roof? Many homeowners are unprepared for the expense of replacing a damaged or worn shingle roof. If your roof is actively leaking, any delay in fixing the problem can lead to extensive damage to your entire home. This can be expensive and can lead to problems with your home’s structural integrity and safety. While a problem with your roof cannot be ignored, there may be ways to delay or avoid replacing your entire roof until you are able to afford the expense. If your roof is old and the shingles are uniformly worn, then you may need to replace the entire roof. However, problems with a home’s roof often start small and if you repair small problems right away, you may be able to delay replacing the entire roof for several years. Small problems that are easy to fix include cracked shingles, curling shingles and damaged or rotten shingles. Leaks can develop around the flashing around chimneys or dormer windows. These leaks can often be fixed with roof cement or sealant or by replacing a portion of the flashing. Shingles that are cracked or curled up at the edges can be repaired or glued down with a roof sealant product that is applied like caulking to the back of the shingles. If a shingle is more severely damaged, part of the shingle is missing, or the shingle appears to be rotten, it should be replaced. In warmer weather, it is easy to pry up the shingle above the damaged shingle and slide a new one into place. In colder weather, shingles become brittle and you must exercise caution to avoid cracking the undamaged shingles around the affected area. 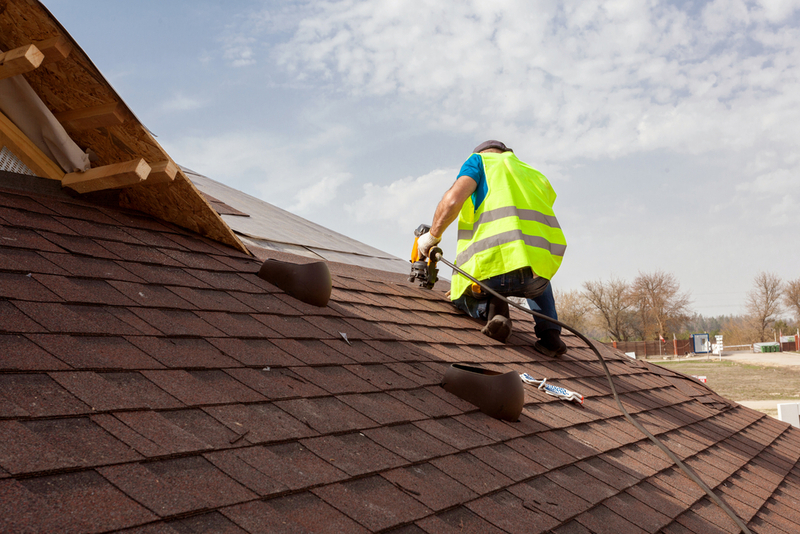 If you do not feel comfortable performing minor roof repairs yourself, you can hire a professional to do them for you. Asphalt shingles are not designed to last forever. If you own your home long enough, your roof will eventually need to be replaced. Through careful inspection and maintenance you may be able to delay that day, but you will not be able to avoid it altogether. Knowing this, wise homeowners will anticipate that an aging roof needs to be replaced and budget accordingly. If you anticipate owning your home for a long time and would like to avoid having to replace your roof again during that time, you may want to consider one of the longer-lasting roofing options, such as metal roofing.